Damilola Adegbite, ex-wife of Ghanaian actor Christopher Attoh, has disclosed some challenging times she went through in 2017. In an Instagram post to wrap up 2017, Damilola wrote that she went through some painful heart breaks but also got closer to God in the midst of the tribulations. “2017 was a tough year for me. One of the toughest of my life. My trust was betrayed in heart breaking ways and I had to go through some very painful overwhelming changes. But in all this, I am eternally grateful because who I am became crystal clear to me,” she wrote. The Nollywood actress also revealed that she believed God knew the best for her, hence allowing her to go through all the tough times after gifting her with her heart desires. “God gave me some things I thought I really really wanted, to prove to me that there is nothing impossible for him to do, he took them away again, this time by force, because sometimes, what we want is not necessarily good for us and it’s an uncomfortable process,” she added. “When you are treated unjustly, you don’t always have to fight back or retaliate. Sometimes all you need to do is WALK AWAY from the situation. The law of karma will sort things out,” she further posted on Instagram. Even though Damilola did not state the specific problems she encountered in 2017, some have inferred that she may have been making reference to her failed marriage with Chris Attoh. 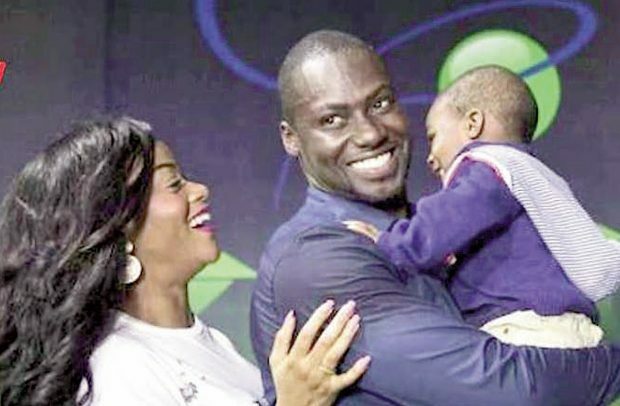 Damilola and Chris Attoh divorced in 2017 after two years of marriage, with a son – Brian. Chris Attoh, after denying all rumours about the divorce, later came out to disclose that they had really divorced. He also alluded that his ex-wife was not submissive. “I think that we have forgotten about the fundamentals of marriage. When you love someone, it’s important to be able to forgive, respect and submit,” he told Bola Ray in an interview. “As a woman, you need to trust the captain of the ship. It’s truly important if you want peace in your home,” he added.